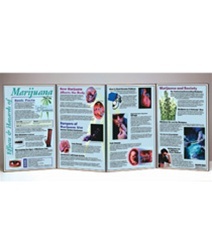 This graphic display explains what marijuana is, how it's used, and its effects and hazards. Also includes information on getting help for a marijuana problem. 58" x 22 ½" opened.